Antonio Veciana fought on the front lines of the CIA’s decades-long secret war to destroy Fidel Castro, the bearded bogeyman who haunted America’s Cold War dreams. It was a time of swirling intrigue, involving US spies with license to kill, Mafia hit men, ruthless Cuban exilesand the leaders in the crosshairs of all this dark plotting, Fidel Castro and John F. Kennedy. Veciana transformed himself from an asthmatic banker to a bomb-making mastermind who headed terrorist attacks in Havana and assassination attempts against Castro, while building one of the era’s most feared paramilitary groupsall under the direction of the CIA. 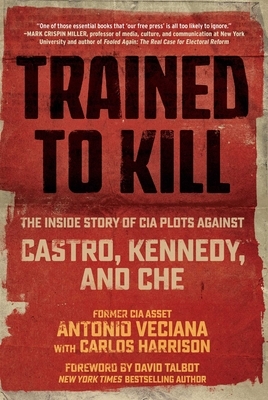 In the end, Veciana became a threatnot just to Castro, but also to his CIA handler. Veciana was the man who knew too much. Suddenly he found himself a targetframed and sent to prison, and later shot in the head and left to die on a Miami street. When he was called before a Congressional committee investigating the Kennedy assassination, Veciana held back, fearful of the consequences. He didn’t reveal the identity of the CIA officer who directed himthe same agent Veciana observed meeting with Lee Harvey Oswald in Dallas before the killing of JFK.